Customisable number decal from our collection of number wall stickers which is centred within a laurel wreath in which you can put your favourite number. Decorate your motorbike with this fantastic decal! 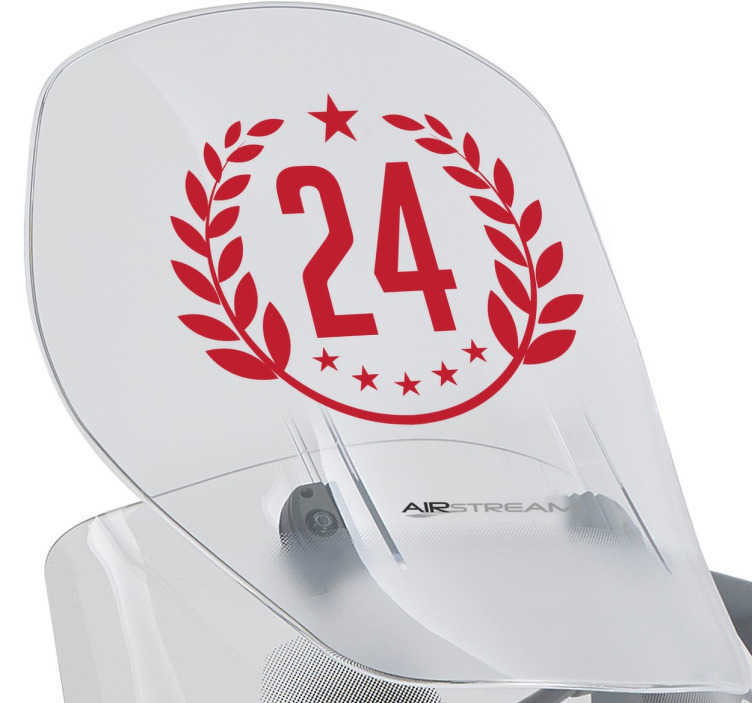 Now you can decorate your bike or your helmet with one of our customised stickers. Choose the size and colour you want! An original, elegant and classic way to individualise your bike with this vinyl for true champions.